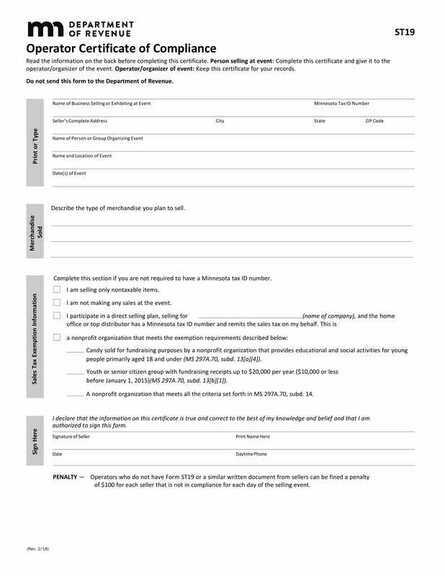 ​﻿Fill out the Go Savvy Social Registration Form and State of Minnesota ST-19 form (listed below) and mail to: A Turn of Events DBA Go Savvy Social 6915 State Highway 95 Princeton, MN 55371 with deposit check, actual payment cant be made via Paypal on the website or via a separate check enclosed with registration form, ST19 and deposit. Please make checks payable to A Turn of Events. 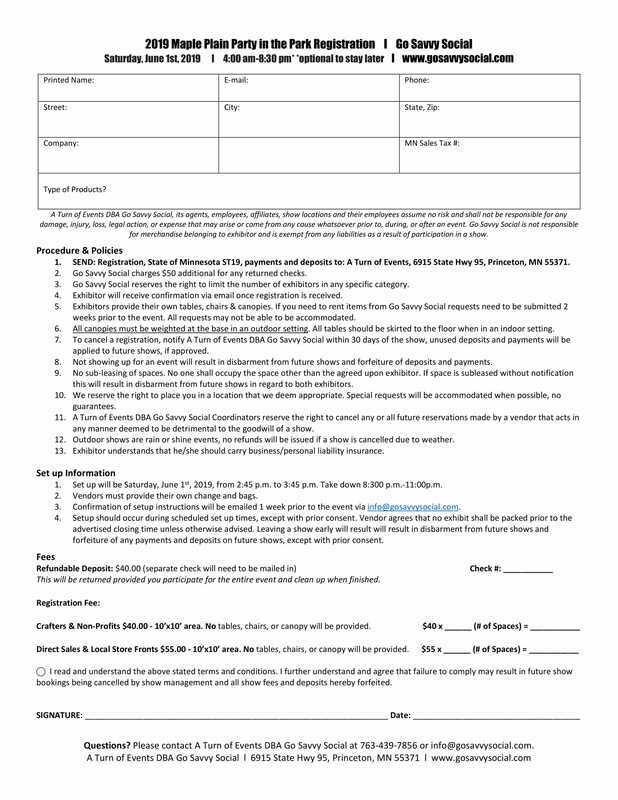 ST-19 Form: Operators/organizers of craft, antique, coin, stamp or comic book shows; flea markets; convention exhibit areas; or similar events are required by Minnesota law to get written evidence that persons who do business at the show or event have a valid Minnesota tax ID number. If a seller is not required to have a Minnesota tax ID number, the seller must give the operator a written statement that items offered for sale are not subject to sales tax. All operators (including operators of community sponsored events and nonprofit organizations) must obtain written evidence from sellers.